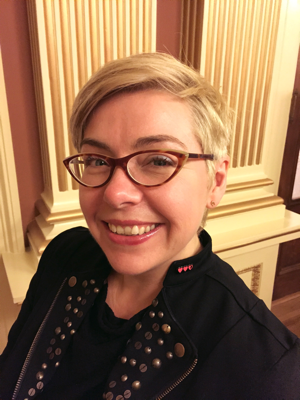 Heather Terrell, MLIS degree candidate at San Jose State University, has been named the winner of the 2015 LITA/Ex Libris Student Writing Award, sponsored by Ex Libris Group and the Library and Information Technology Association (LITA), a division of the American Library Association (ALA). Terrell’s paper, titled “Reference is dead, long live reference: electronic collections in the digital age,” describes the changing landscape of electronic reference sources and explores the possibilities inherent in building hybrid library collections. “The members of the LITA/Ex Libris Student Writing Award Committee are pleased to acknowledge and honor with this award Heather Terrell’s manuscript, which addresses the benefits and challenges of electronic reference materials to libraries and library users,” said Sandra Barclay, chair of the committee. The LITA/Ex Libris Student Writing Award recognizes outstanding writing on a topic in the area of libraries and information technology by a student or students enrolled in an ALA-accredited library and information studies graduate program. The winning manuscript will be published in Information Technology and Libraries (ITAL), and the winner will receive $1,000 and a certificate of merit. The award will be presented at the LITA Awards Ceremony on Sunday, June 28, 2015 during the ALA Annual Conference in San Francisco. News & Noteworthy awards, ex libris, student. permalink.